President Obama got to tout the accomplishments of his administration and took a couple jabs at Donald Trump on Jimmy Fallon’s popular sketch “Slow Jam the News” on Thursday night. 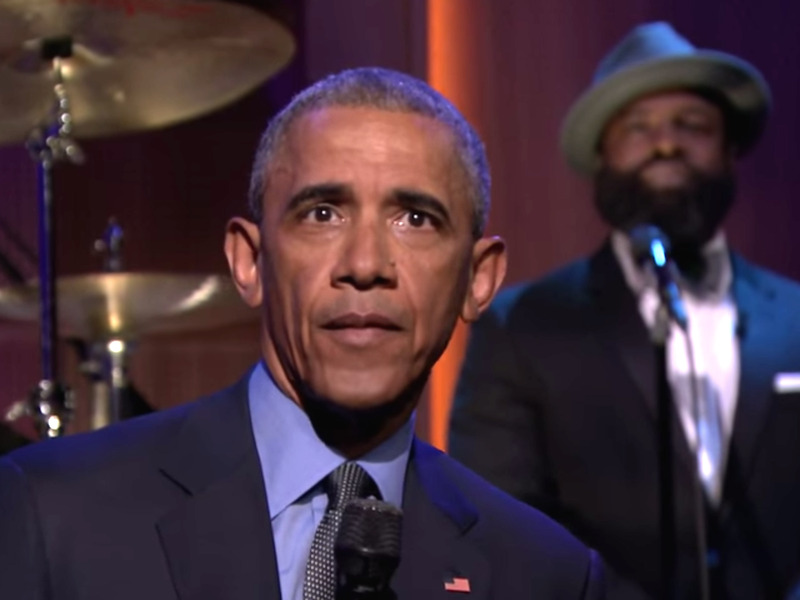 And naturally, Obama’s version of the R&B take on the topics of the day also wrapped with a mic drop. He also reminded us how he was elected during a recession, and has been able to stimulate the economy and create new jobs. And even though this appearance was shot on Wednesday ahead of Obama’s endorsement of Hillary Clinton on Thursday, there was a slick foreshadowing in the sketch. Obama took the opportunity for a creative reference to Trump. “Orange is not the new black,” Obama said.